VLC Offers a Free DVD Player, Why Can't Microsoft? 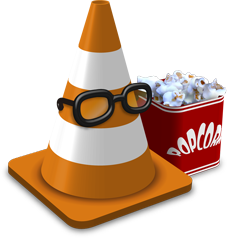 We’ve recommended VLC on more than one occasion, and for good reasons. It’s the swiss army knife of the video playback world. It supports more formats and codecs then we can count, installs quickly, and is updated frequently. With the upcoming release of Windows 8 however, it will start offering a new killer feature most people probably didn’t care about before – DVD playback. Microsoft’s decision to not support DVD playback in Windows 8 unless you shell out the extra cash for media center has created a ton of vitriol in comment feeds around the web, but also a pretty obvious question. If a free and open source app can offer the feature, why can’t Microsoft? ZDNet blogger Ed Bott set out to answer the question, and his findings may surprise you. Before we get to the answer it is important to understand that DVD playback is made possible by way of two core software components. First you need an MPEG-2 decoder, and second you need Dolby Digital audio support. The cost of adding these to Windows 7 is estimated to be somewhere in the range of $2-$3, so how does VLC do this for free? It helps to be French. VideoLAN, the company behind VLC explains the French connection on its “Legal concerns”page, and skipping down to the bottom of the page you find the following. Neither French law nor European conventions recognize software as patentable (see French section below). Of course they also have size on their side. VLC is a nonprofit organization based outside the reach of the US legal system, and represents a small enough niche that it’s currently not worth pursuing. We can’t help but wonder if that will change over time if it becomes more popular, though it’s hard to image a world where the big OEM’s ever ditch CyberLink PowerDVD in favor of something open source. Original Post by Justin Kerr, Reposted Courtesy of Maximum PC – Covering everything from hi-end gaming PCs to tablets, peripherals and home theater rigs, Maximum PC’s print and Web editions stay one step ahead of the fast-changing world of everything computer and computing related. Whether its the latest on building your own desktop system, reviews of the latest laptops and accessories, or roundups of the games and software that make your machine go, Maximum PC brings it to you with news, reviews, and years of expertise. TechnoBuffalo is thrilled to bring you the best of Maximum PC right here on our own pages to keep you immersed in all things digital.